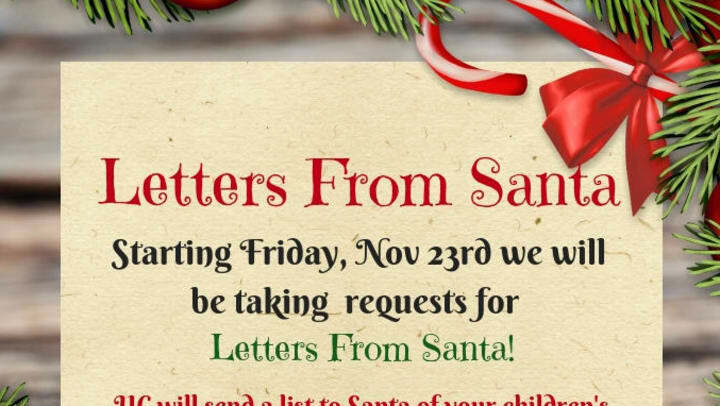 On Friday, November 23rd we will start taking request for LETTERS FROM SANTA. UC will send a list to Santa of your children's names and he will send personal letters back to them all before Christmas. The deadline for letters is December 16th.